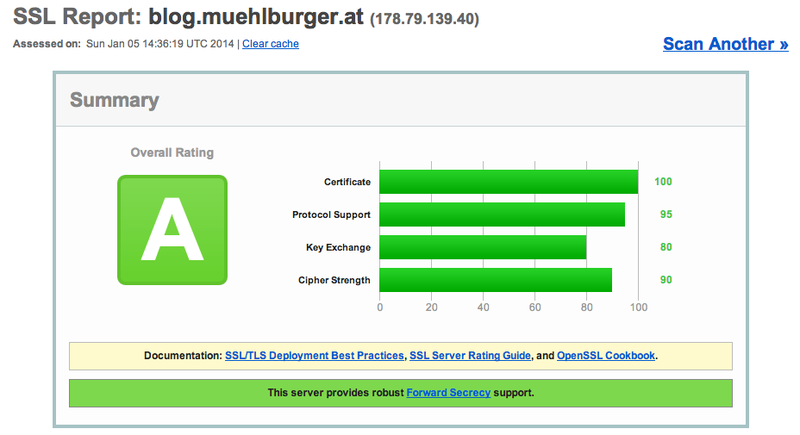 Finally I finished to configure my HTTPS protocol support for blog.muehlburger.at. Supporting encrypted communication is an important part of the internet today. Everybody should support encrypted communication on the web. A good resource on how to select strong cypher suites and to configure your web server to support encryption properly is bettercrypto.org. I configured nginx to support encrypted communication exclusively for my WordPress installation. The PDF guide from bettercrypto.org was a great resource for selecting the cypher suits and some additional parameters. If you would like to configure your nginx webserver and WordPress installation to support https just drop me a message. I am pleased to help you with my experiences.